Thursday June 15 marks the release date of Luminar: Neptune. This is Macphun’s updated stand alone program for photographers. Use coupon code JGP3 for savings at Macphun! Full disclosure: I paid for my own Macphun plugins. I got turned on to Macphun from before going to the West Coast School of Professional Photography in San Diego, where Macphun is located. I met these guys.. many of them came from Nik, now owned by Google. 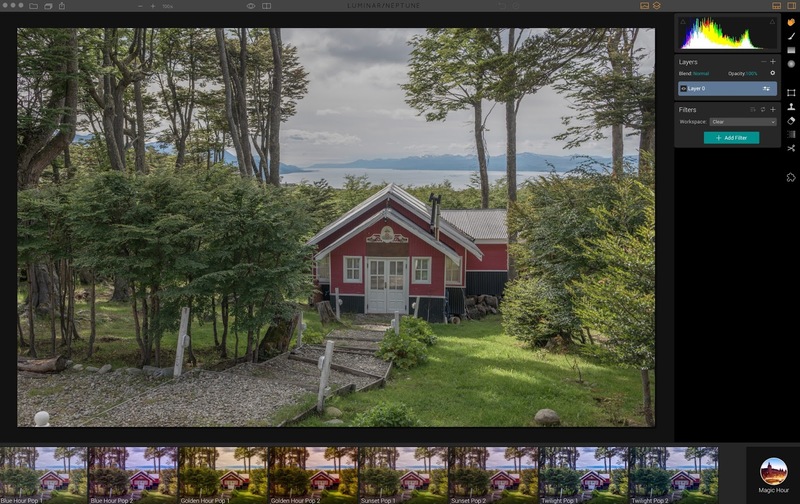 I bought my first set of plugins that I use routinely with Lightroom: Aurora HDR, Focus CK, FX Photo Studio CK, Intensify CK, Noiseless CK, Snapheal CK, and Tonality CK. I can access any of these plugins through Lightroom OR through Luminar as a stand alone. Why do I use them? They work. And they are fast. Oh, they give great results. 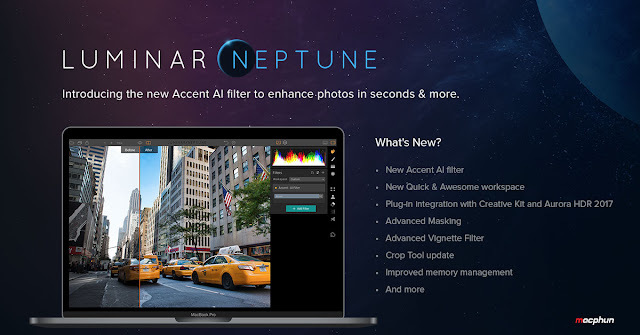 Now back to Luminar: Neptune. 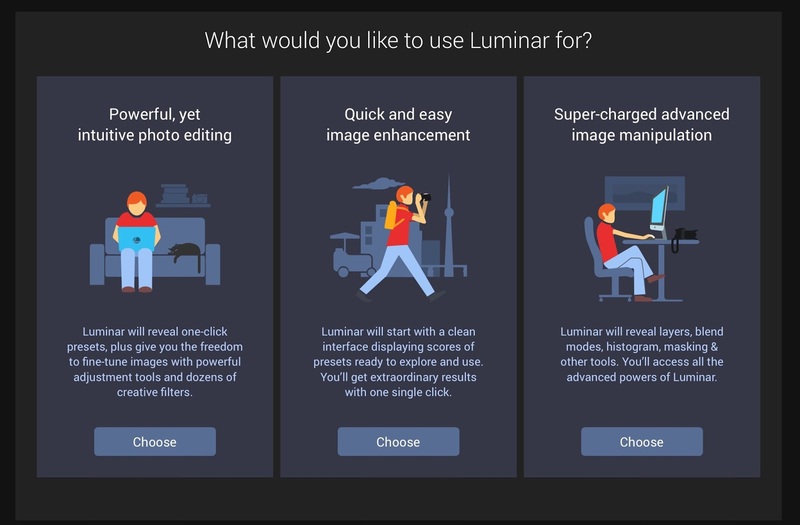 If you already have Luminar, this is a free upgrade starting June 15th. When you get the new Luminar: Neptune, you will be offered a few choices at start-up. I picked the full option on the far right side. It preloads a sample photo. This is good to learn about the features of the program. Go ahead, play around with it. Your Macphun presets are located at the bottom right of that screen. By the way, you can get a few presets at the Macphun site. And, you can get to your plugins, the ones I use with Lightroom, at the top bar called, appropriately enough, "plugins." Have fun with this.. after all the company name is Macphun!